The one thing I was always sure of about myself is that I marched to the beat of my own drum and liked to lead and never follow. I have actually studied Franchising since late Junior High and have always kept my fingers on the pulse of what was happening with the Franchise Industry as a whole and the specific Franchises that matched my personal interests. I think my problem has always been the same, they ALL sound good to me! I do totally agree with the expression that if you do something you LOVE you won't work a day in your life. My interests have always been diverse, at one point with my love of music I swore I would I would open a Music Store Franchise (sadly both of the ones that peaked my interest are now defunct, so in this case my procrastination on picking which Franchise is right for me may have actually been a good thing!). While I love blogging I have seriously been toying with the idea of Franchising again but realized I may need to start from scratch in terms of trying to narrow down my decision on WHICH business opportunity is right for me. Thankfully the International Franchise Expo hit New York City and I immediately hit the expo! Don't get me wrong the sheer volume of Franchises that were on display were incredibly impressive, and I didn't get the chance to connect with every single one of them. 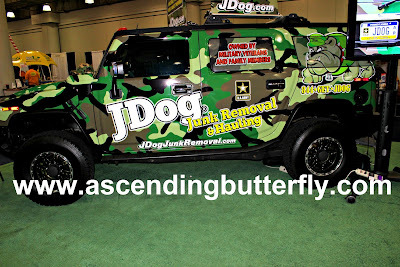 Like most tradeshow floors some things just stand out more for vastly different reasons - unique displays, eye-catching displays you can't possibly ignore, or sales reps that are total hustlers (in a GOOD way) and pull you in. 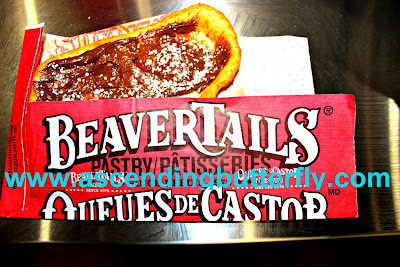 Above: BeaverTails was offering samples who am I to turn down a Chocolate Hazelnut BeaverTails pastry? If I could only offer you guys 'taste-o-vision', this was so GOOD!!!! Their hand-stretched pastries that resemble a Beaver's Tail have been tempting tastebuds since 1978 and franchising since 1993. They are seeking entrepreneurs to operate treat trucks or open storefronts or shops in leisurely waterfront and historic districts. They currently have 100 Franchised Outlets and the Investment Range is $125,000 - $250,000. 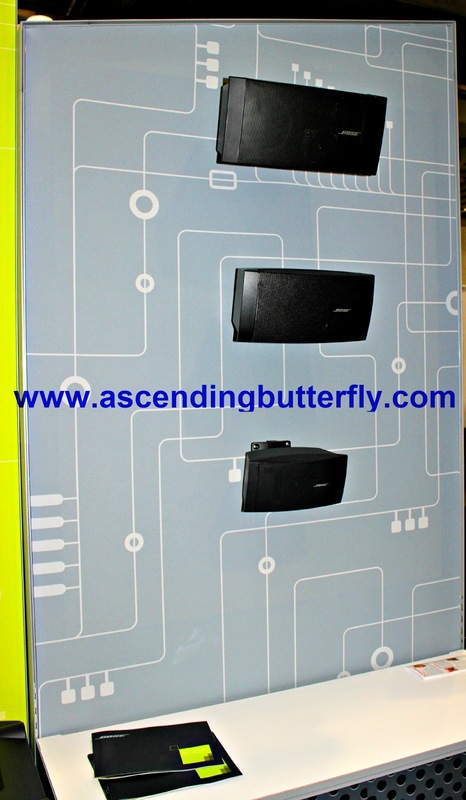 Above: Bose Professional was there, more in a B2B capacity than as a Franchiser. 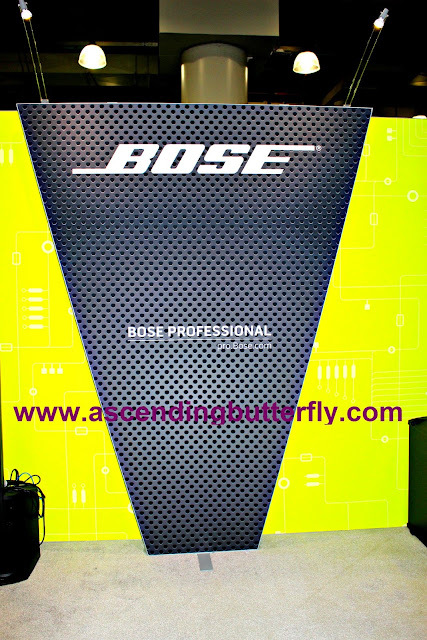 Most of the hotels I travel to tend to offer Bose Audio Systems in the room and as #TheOfficialTwitterPartyDJ and a mega Audio Enthusiast I wasn't going to pass up hitting Bose's booth! 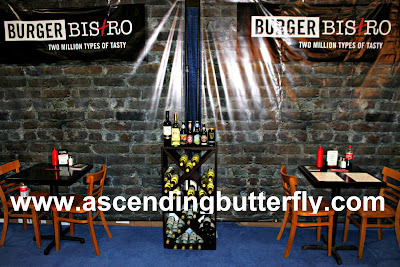 Above: Burger Bistro caught my eye, I think grown folk are looking for Grown Folk burgers, no places where burgers come with a toy! 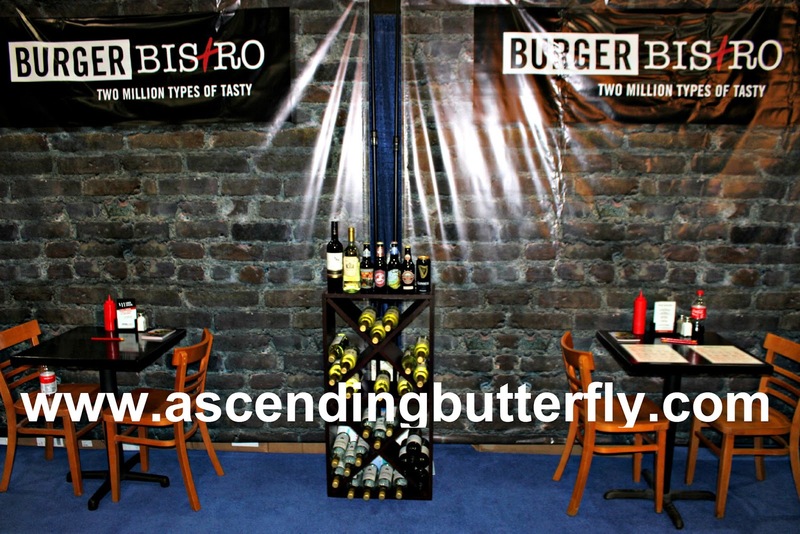 More like Burgers where you can also get a beer or some wine! Above: sweetFrog Premium Frozen Yogurt allows you to create your own combo of soft-serve premium frozen yogurt finished off with the toppings of your choice, and I personally love that the F.R.O.G. in sweetFrog stands for 'Fully Rely On God' and they make it a point to become a part of the fabric that wraps their local communities. With so many things taking 'God' out of out of the fabric of our day-to-day lives, I love that they aren't afraid to put it IN and let their core values be God-Centered! 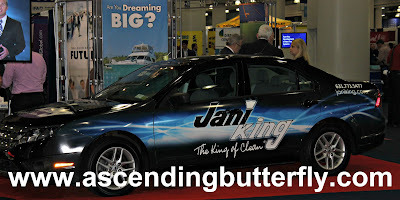 Above: Jani King aka 'The King of Clean' Commercial Cleaning Services is definitely a smart Franchise Choice to consider, offices do NOT clean themselves darlings. It's a 'dirty' job but somebody needs to do it! 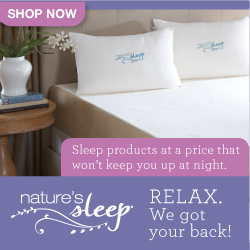 They have over 10,000 unit Franchise owners in over 14 countries worldwide! They have been in operation 44 years so I would definitely label this opp as 'stable', the Investment Range is $16,250 - $100,000 which is pretty affordable. 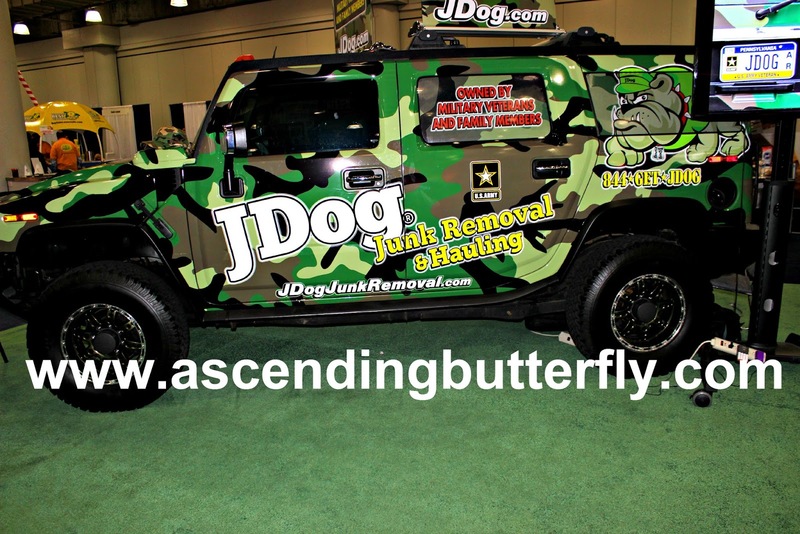 Above: JDog Junk Removal and Hauling owned by Military Veterans and Military Families and exclusively franchises to Vets which I thought was pretty unique! It's an easy to operate business that has pretty high gross margins and that's what you want in a Franchise, especially if you are new to Franchising, picking something that is easy to learn and easy to train your team your to do helps you to get started faster and start making those profits! They offer free onsite estimates! 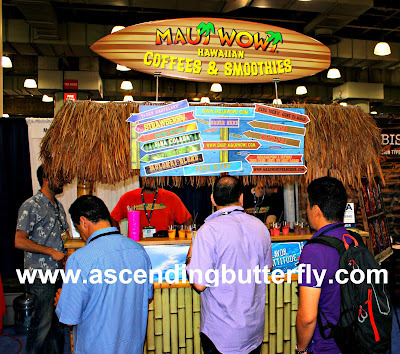 Above: When I approached this booth, they had just run out of a particular sample and they were in the processing of making more, there was a lady there that insisted I wait for the fresh batch of Black Raspberry Smoothie, and while we did chat while we waited, I didn't get to catch her name, I did return the favor and introduced someone else to it and now I'm introducing them to you. 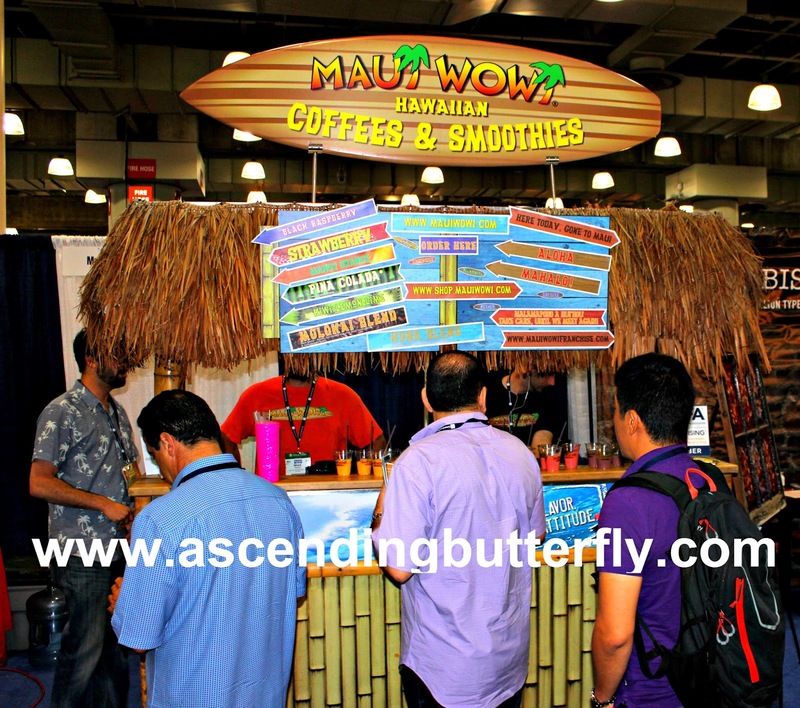 Maui Wowi wins hands down for best smoothies EVA! With 450 locations across 7 countries I'm not sure how I never encountered them in my travels, but I'm certainly glad I did now! The investment range is from $75,000 - $350,000 and there are currently about 450 Franchised Outlets. I don't know butterflies, but I'm thinking the 'flip-flop lifestyle' as they call it, is definitely calling my name! 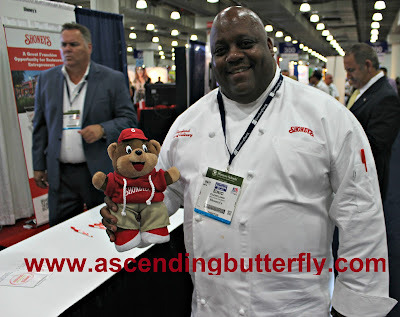 Above: Shoney's - OK so the chef's winning smile and that Teddy Bear totally drew me in! After speaking to them I immediately thought of a favorite vacation spot of mine that could use one of these, sorry not mentioning where just in case I opt in for this Franchise! Get your own territory! They give back to at risk communities, and offer discounts of 15% for students, military, police, fire and EMT in Uniform. Their investment range is $103,000 - $3,725,000 - this depends on your territory and whether you are opting for a Shoney's or Shoney's On The Go. Above: What pulled me in was the rocking music! With Guns and Roses blaring on the speaker, and the most laid back place to hang on the entire tradeshow floor, they definitely drew me in! 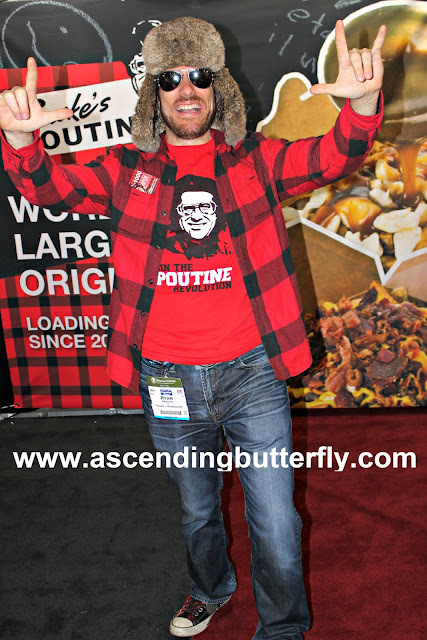 Smoke's Poutinerie offers over 30 Poutine Menu Items, they are taking the authentic Quebec classic to rest of the world and they were certainly the hit of the show. Their truck was parked outside so you see it when you walked in, but like everything in life, tasting is believing my friends and this was un-describably delicious! Fries, Gravy, Curds and toppings - I chose the bacon loaded and I got them on my way out the expo and attacked them on the cross town, the bus driver actually asked me what it was on my way in because it smelled so good! Spherion Staffing - Back in my College Days I actually temped through them and I did spend some time doing high-volume recruiting for another staffing agency post College so I am familiar with the model and while I had never thought of opening my own staffing agency (I think after I escaped doing it and working such long hours I never really looked back), I will say they did make me think twice about considering a Spherion Franchise. Minimum Capital Required is $75,000 and they have been franchising since 1961. Island of Treats - I could swear I took pictures of their super sweet candy display, but I can't seem to find my shots, perhaps I was too busy eating candy! LOL This bulk confectionary offers 72 choices of sweet goodness ranging from gummies, chocolates, nuts and more and you can mix and match all for the same price. They started Franchising October 2014 and the minimum capital required is $60,000. By Woops offers macarons and pastries and coffee! HipPOPs offers handcrafted dessert treats including gelato, sorbet and frozen yogurt this micro creamery offers handcrafted all-natural high quality ice cream POPs. Marilyn Monroe Spas - They offer Nail Lounges and 'Glamour Rooms' they have been offering Franchises since 2014 and minimum capital required is $100,000, if the Beauty Business sounds like your thing you should definitely consider them! There were of course a lot of the larger and more 'well-known' franchises in attendance, but for me it was all about finding the unique, sampling as much as possible, and enjoying some of the international franchises that are not even ready for US Franchisors yet. This definitely re-awakened my interest in considering owning my own Franchise and the chance to speak with the Franchises directly and ask questions was completely priceless for me! Explore your entrepreneurial spirit you never know where it will lead or how far you can take it! Are you a Franchise Owner? If so what has your experience been like so far? Do you own multiple franchises? Did you know that 92% of Franchisees report that their Franchised Businesses are profitable? Do any of my 'ones to watch' appeal to YOU? FTC Disclosure: This is NOT a compensated post, no monetary compensation has been received, and all opinions are 100% my own! 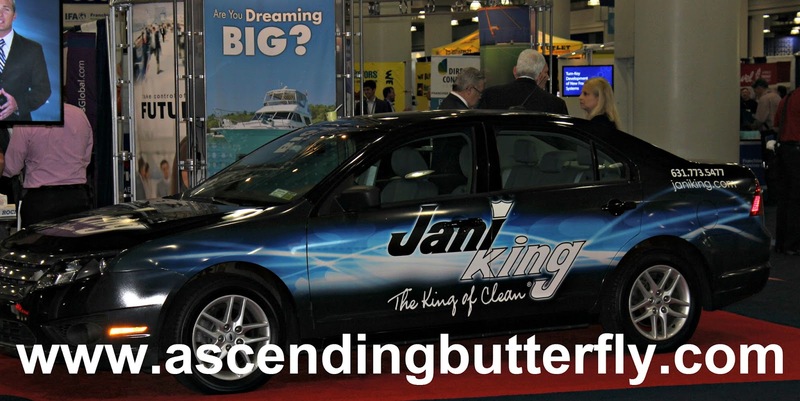 Ascending Butterfly was given press passes to the International Franchise Expo for Editorial Consideration. I am disclosing this in accordance with the Federal Trade Commission 16 CFR, Part 255 - Guides Concerning the use of endorsements and testimonials in advertising, you may check our Giveaway and Disclosure Page for additional information regarding Ascending Butterfly Disclosure. I've never even thought of opening a franchise. I think it might be cool, but ONLY if I had someone to do the paperwork. I HATE paperwork. I see so many great companies on here! I especially (personally) like sweet frog! I've thought about looking into a franchise and when the kids are older I may consider it! My cousin owned a franchise of frozen natural treats. It was before they were so readily available in stores so she did well with it. What a great way to compare and contrast all the options! I had no idea such an expo existed. That is so smart. We love to take the grandkids to Sweet Frogs. All of these franchise options look great. Buying into a franchise seems like it could be very rewarding but lots of hard work! This sounds like it was a great event for figuring it all out. Being a franchise owner would be very nice, but it is just not in my realm of possibilities. I would love to start my own franchise some day. Right now the trend seems to be Mexican. We have to many of those already. I would need to find something that is unique and new that would draw people to become repeat customers. How fun! I actually hadn't heard of a lot of these brands before. 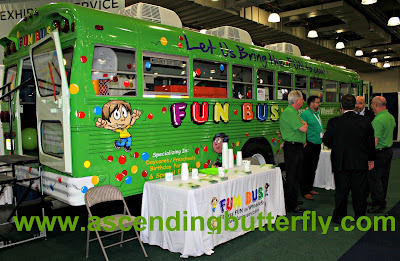 I love the idea of the fun bus! I really like the Fun Bus idea. If I owned a Dippin' Dots franchise, my children would worship the ground I walk on. I am not a franchise owner but this is so interesting. All such great businesses. What a fun expo to attend for entrepreneurs! You picked out some exciting investment opportunities! I love the Dippin Dots franchise. I have never thought of owning a franchise store but it would be fun and challenging. Looks like a great experience to attend and learn from. So many of my favorite brands were there. This sounds like a great event and a good opportunity for those who are thinking of owning a franchise. I would be interested in this if I had the money to spare. What a cool place to visit all those exhibits. I would love to open a franchise someday. I love Dippin Dots, they closed the location here in my city, which saddened me tremendously. Wow, you've really highlighted some great opportunities. 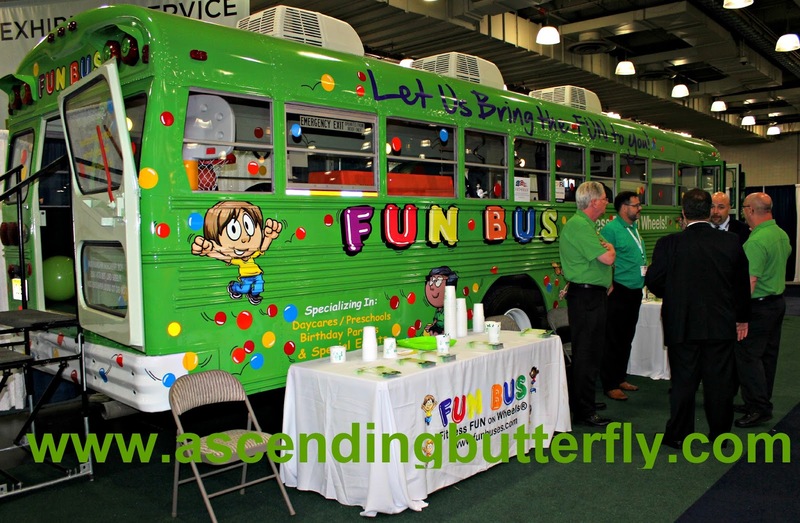 The Fun Bus sounds like a great way to experience a successful franchise. My neighbors own a franchise. Started about 2 years ago and business is booming. It's a great way to have your own business! Wow, looks like a fun event. I'll have to tell a few friends who are looking to getting into franchise. It totally looks like a fun event! I wish I lived closer and could attend. Beaver Tails are from my city! What fun it would be to own a franchise like this. I learned quite a bit about them when I was in Canada. I have a friend in Sarnia who raves about them all the time. I'm loving the By Woops. I have a super cute Gilmore Girls style down next door and this type of place would do very well there. If only I had $200k to start it! You clearly have the spirit of an entrepreneur! No matter what franchise you pick it sounds like you'll make a success of it! These are all good options. I personally wouldn't open a brick and mortar store because of the high overhead costs. I enjoy the online market myself. 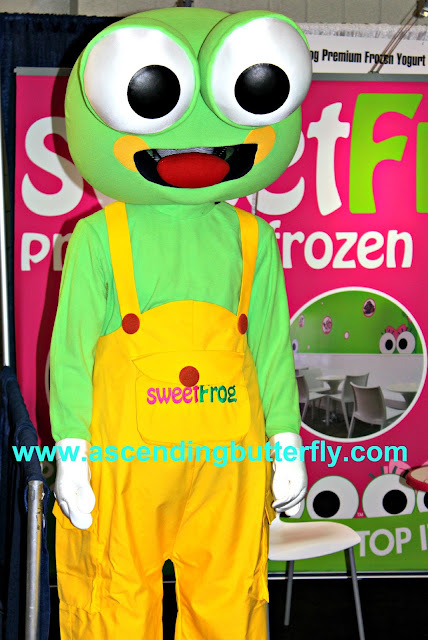 I say pass on sweet frogs, the frozen yogurt market is pretty over saturated. I've seen a few yogurt shops come and go here. I LOVE Beaver Tails! The last time I had one was in Quebec City. This sounds like a really great opportunity! I’ve been contemplating owning a franchise sometime in the future so this would be a really great event to attend. I wish I have that entrepreneur spirit, it would be nice. I would like to own a business butjust thinking about it gives me a migraine already. I've never heard of this expo before. Sounds like a great expo for entrepreneurs! Beaver tails is an amazing place. We have one here in Ottawa and we love it. There is always a long line up to get some. Looks like you had fun! Have to admit, that sweet frog looks really scary LOL! Beaver Tails is an amazing Franchise. I wish we had one here. I alway get some when i visit my Sister in Ottawa. This looks like it was a fun event. What a great way to meet companies and sample products! There are so many cool companies. Many of them, I've never heard of. What a round up! There are some really good business opportunities out there. I love all the variety!